The V-Strom 1000 is dedicated to the simple concept that every road should be open for adventure. 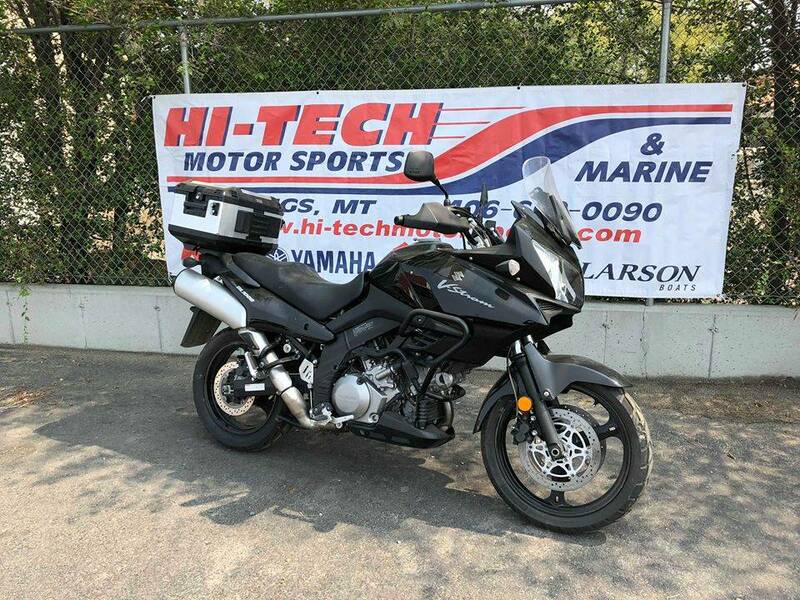 With its one-of-a-kind combination of features, the V-Strom is engineered to perform with style and comfort across town - or help you enjoy the excitement of a tight, twisty two-lane country road. With its outstanding overall performance and versatility, the V-Strom is the perfect choice for the sport-adventure rider. Wherever you ride, you'll appreciate the V-Strom's 90-degree V-twin engine, providing incredible low-end and mid-range torque for thrilling acceleration. Its rigid chassis and advanced suspension combine for outstanding handling on a variety of roads. At the same time, it's designed for smooth, comfortable highway cruising, so every weekend you'll be looking for a new adventure. 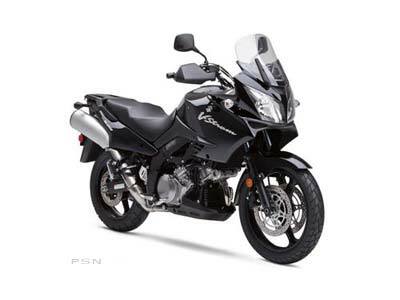 With the Suzuki V-Strom 1000, the excitement is just beginning. Sport-styled front fairing for wind protection, plus large comfortable seat, engine guard, and hand guarDual Sport - fairing includes large multi-reflector 60 / 55-watt headlights. Height-adjustable winDual Sporthield for increased wind protection and comfort - can be adjusted to three positions in a 50-millimeter vertical range. Easy-to-read instruments with large speedometer and tach dials, plus LCD display for fuel level, engine temperature, odometer, tripmeters and clock. Standard hand guarDual Sport designed for maximum wind protection. Cartridge-style 43-millimeter front fork with adjustable preload provides 6.3 inches of wheel travel for a comfortable ride. Link-type rear suspension features a piggyback-style shock ABSorber with adjustable rebound damping and a knob-operated hydraulic preload adjuster - 6.3 inches of wheel travel. Liquid-cooled 996-cubic-centimeter, 90-degree V-twin, DOHC 8-valve, engine - tuned for strong low- and mid-range torque. Electronic fuel injection features the Suzuki Dual Throttle Valve System (SDTV) - maintains optimum air velocity in the intake tract for smooth low- to mid-rpm throttle response and improved engine torque. Lightweight shim-under-bucket valve system operates 36-millimeter intake and 33-millimeter exhaust valves, plus valve timing with emphasis on low-rpm power. Wide-ratio six-speed transmission with 6th gear over-drive and wide-diameter hydraulic clutch for a light pull at the clutch lever. Lightweight magnesium valve covers, ignition cover, and sound-deadening plastic outer clutch cover. High-mounted stainless steel exhaust system with aluminum mufflers tuned to enhance engine torque output.